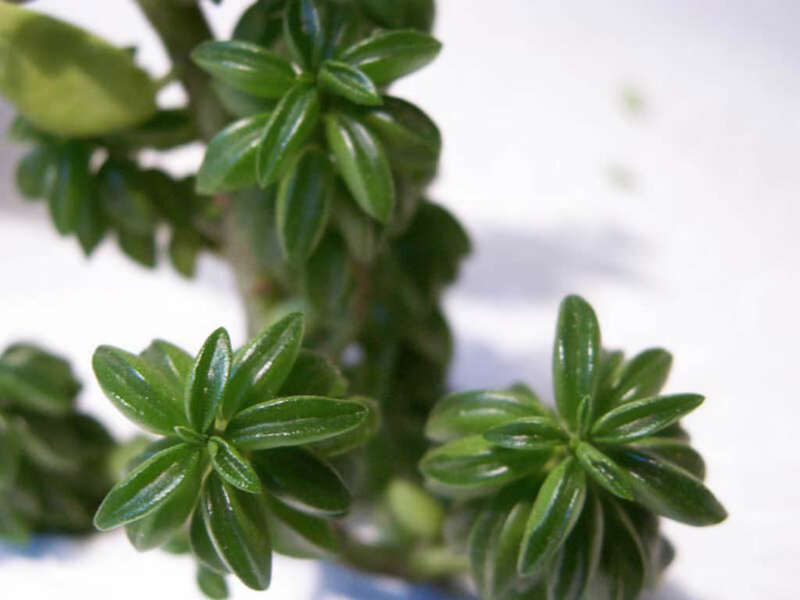 Pepromia nivalis is evergreen, creeping or upright succulent plant, up to 6 inches (15 cm) tall, with fleshy stems containing anise-scented sap. 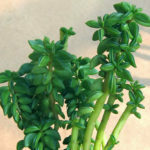 The leaves are boat-shaped, fleshy, brilliant green, white or white-flushed pink below, densely borne at the ends of the stems. 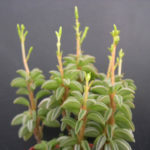 Peperomia are not particularly hard plants to grow, and their small size and delicate leaves make them perfect for desktops and dish gardens. They will rarely overtake their neighbors or shade them out. In short, they are perfectly mannered and attractive little plants. 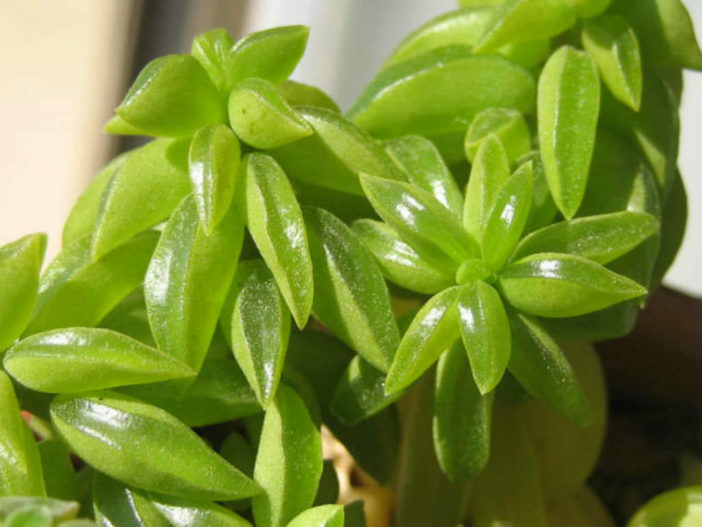 The biggest problem facing Peperomia are usually related to watering. They like steadily moist soil, but can be very sensitive to overwatering. 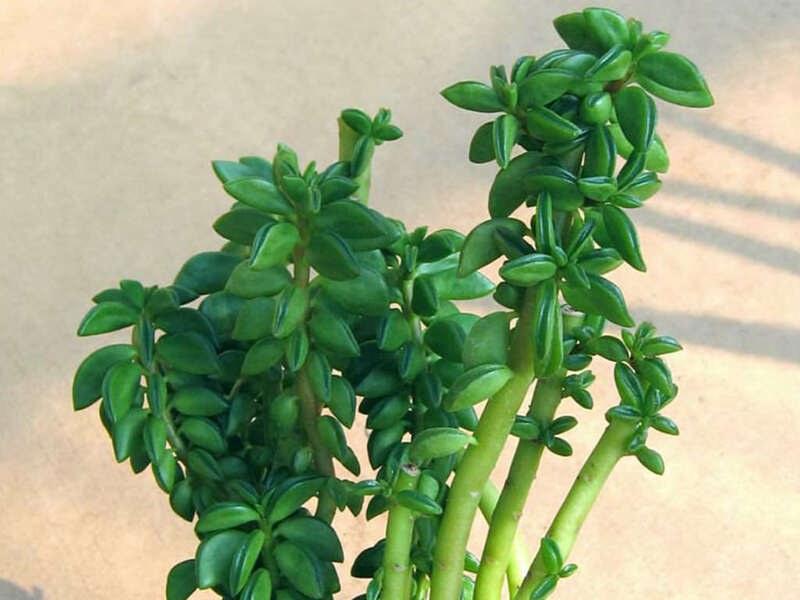 Overwatered Peperomia tend to wilt (paradoxically) or have raised, scab-like protrusions on their leaves. Don’t be alarmed if your plant loses a few bottom leaves, but massive leaf-drop is usually due to a temperature change or fertilizer problem. 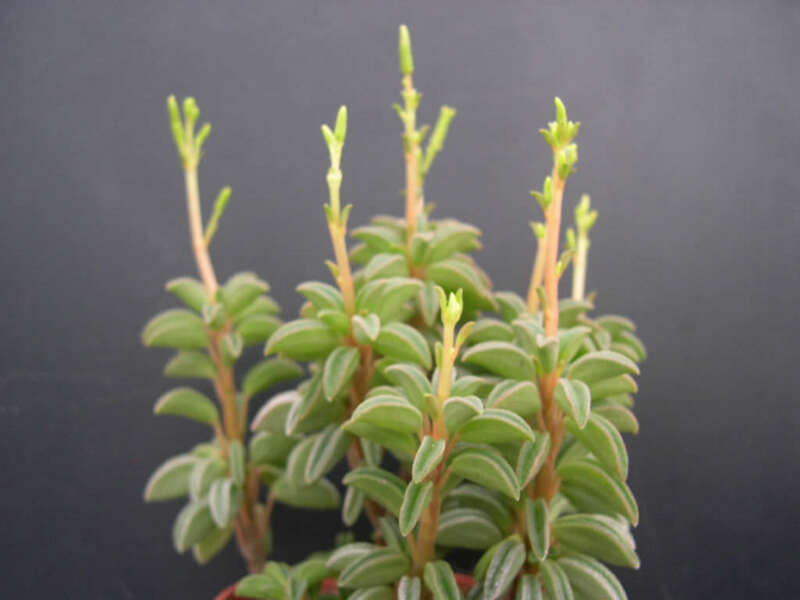 Lastly, Peperomia are susceptible to mealybugs, so keep an eye out for cottony white masses on the stems or undersides of leaves. Peperomia thrives when slightly pot-bound, so don’t over pot them. Repot plants in spring, especially to refresh the existing soil, but place either back into the same size container after root-pruning or go up only one pot size. 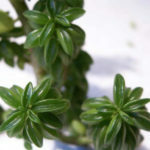 The largest Peperomia remain relatively small, so they will never grow into large specimen plants… – See more at: How to Grow and Care for Peperomia.